Throughout April we will be offering a springtime special of Fishbourne’s Fisherman’s Platter and bottle of selected wine for 2 people to share, featuring the best of the Island’s seafood. Pre-reserved tables only, look out for full details on our website and social media. 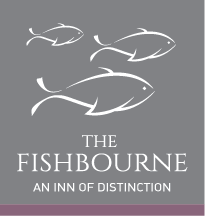 The post The Fishbourne’s Fishermans Platter appeared first on Inns of Distinction. The post Mussel Nights! appeared first on Inns of Distinction. Continuing our ‘Seafood Spring’ is another Fishbourne favourite; Seafood Night. A sell out every year, we just had to do it again. Join us for platters of fresh fish, shellfish, cured and smoked seafood plus wines to die for! Platters available for the whole table from 2 people to 20! Look out for exclusive offers on bottles of bubbly for tables of over 6 people! The post Seafood Night! appeared first on Inns of Distinction. Summer time is here and what better way to pass a lazy afternoon by the sea than a classic English cream tea! Every day throughout July between 3pm and 6pm, enjoy a decadent cream tea on our patio (weather permitting!). Why not upgrade to a ‘Prosecco Tea’ to make the afternoon even more perfect!? The post Classic English Cream Tea! appeared first on Inns of Distinction. Throughout August we are hosting live music on Sunday afternoons. Between 2pm till 4pm relax by the sea with local artists playing in the background; add a pitcher of Pimms for only £14.95 to complete a perfect afternoon! The post Sunday afternoon local acoustics appeared first on Inns of Distinction. September brings a wine night with a difference. Hosted by our wine guru, Jane Karabasic, from Majestic Wines joins us for the chance to compare bottles of fizz from across the world. This will be a ticketed event and numbers will be limited so be sure to book your places early! Our chefs will be providing nibbles too! The post Wine tasting! appeared first on Inns of Distinction. Oktoberfest Fishbourne style! October will see us expanding our already large range of craft beers, real ales and lagers to pay homage to Germany’s biggest celebration. Join us for new and exciting small batch produced beers and look out for daily special offers too.. The post Oktoberfest! appeared first on Inns of Distinction. The post Game Night! appeared first on Inns of Distinction. The post Carol concert appeared first on Inns of Distinction. 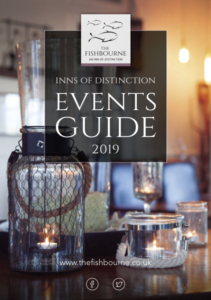 Gin tasting at The Fishbourne – it’s gin lovers delight as we offer the opportunity to sample gins from our Gins of Distinction list and beyond! Make your choice from well known and small batch independent gins, select your mixer and garnish to create your own bespoke G&T! The post Gin tasting appeared first on Inns of Distinction. Full on February – wave goodbye to dry January and welcome to Full on February! Selected drinks are available at 25% off throughout the month. See our website, social media and local press for full details. The post Full on February appeared first on Inns of Distinction. St Patrick’s Weekend – join us for our inaugural St Patrick’s celebration for the obligatory Guinness, Irish stew, soda bread and boxties! Demand will be high so remember to book early. The post St. Patrick’s Weekend appeared first on Inns of Distinction. 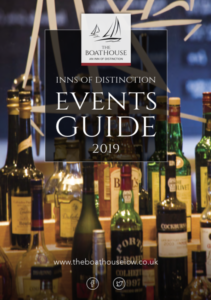 Gin Tasting & The Boathouse Bake Off! Our always popular Gin Tasting Evening makes a return in 2019. Join us to enjoy a range of gins and complimentary tonics accompanied by a range of nibbles from our award winning chefs! Local gin gurus from the Isle of Wight Distillery will be on hand to give you the lowdown on the skills behind the creation of their wonderful spirits. Also this month we are holding the 4th edition of the ‘Great Boathouse Bake Off’. On Saturday 13th April we would love to see your kitchen creations pitted against your fellow bakers. See website and social media for details and prizes on offer! The post Gin Tasting & The Boathouse Bake Off! appeared first on Inns of Distinction. Isle of Wight Produce Night! On Saturday the 18th we are celebrating the best our ‘Garden Isle’ has to offer with our IOW Produce Night. Dishes created by our head chef and his team using the best produce our Island has to offer. From cheese to crab to beef to potatoes we will be creating some amazing dishes. Places for this will be in high demand, be sure to book early! The post Isle of Wight Produce Night! appeared first on Inns of Distinction. Another celebration night, this time paying tribute to the Island’s greatest product; seafood. Our chefs will be creating dishes using seafood from Island waters and beyond. Our wine merchant will also be recommending matches to each dish to enhance your enjoyment further. This event is always a sell out so book early! See our website and social media for details. Also in June join us over Festival weekend and enjoy buy one get one free breakfasts! Ideal to forget the hustle and bustle of the festival, come and relax on our beachside patio and dig in to our award winning breakfasts. As always in July, Thursday evenings are for live music and cocktails. Each week a local acoustic artist will play on our patio accompanied by the clinking of cocktail glasses! The post Live Music Thursdays appeared first on Inns of Distinction. The musical theme continues through August with Live Music Sundays. Between 2pm till 4pm relax by the sea with local artists playing in the background, add a pitcher of Pimms for only £14.95 to complete a perfect afternoon! The post Live music Sundays appeared first on Inns of Distinction. The Boathouse’s Friday Steak Nights are back! With amazing deals on steaks, sides and drinks this is an offer not to be missed! Offer is available to pre reserved tables only, don’t miss out! Look out for details on our website, social media and local press. Every Friday night in September. The post Steak night! appeared first on Inns of Distinction. Fish and Chips Fridays make a welcome return this month. Give your local chippy a miss and grab your fish supper with us! Fish and chips for two plus a bottle of selected wine for under £20! Pre reserved tables only, make sure to book early! The post Fish and Chip Fridays! appeared first on Inns of Distinction. Curry and a Pint Night Fridays! Curry and a Pint Night Fridays are here! Choose from a selection of curries, rices and accompaniments all made in our kitchen. Two can dine including a bottle of wine for under £20! Look out for details on our website, social media and in the local press and remember to book your table! The post Curry and a Pint Night Fridays! appeared first on Inns of Distinction. Christmas & The Great Boathouse Christmas Bake Off! It’s party season! Bring your party to us and take advantage of our amazing 2 for 1 offer on The Boathouse’s Christmas Party menu. See our website for details. Also this month on Saturday 7th December we are hosting ‘The Great Boathouse Christmas Bake Off’. Bring your yule logs, mince pies, Christmas puddings and Christmas cakes to pit your baking wits against local Paul Hollywood wannabes! Festive prizes to be won and don’t forget to book your NYE party to end the year with a bang! The post Christmas & The Great Boathouse Christmas Bake Off! appeared first on Inns of Distinction. The Boathouse’s famous Friday Steak Nights are back! With amazing deals on steaks, sides and drinks this is an offer not to be missed! Offer is available to pre reserved tables only, don’t miss out! Look out for details on our website, social media and local press. Full on February & Fish and Chip Fridays! Wave goodbye to dry January and welcome ‘Full on February’! Selected drinks are available at 25% off throughout the month. February also sees Fish and Chip Fridays making a return, give your local chippy a miss and grab your fish supper with us! Fish and chips for two plus a bottle of selected wine for under £20! Pre reserved tables only, be sure to book early! The post Full on February & Fish and Chip Fridays! appeared first on Inns of Distinction. Keep a close eye on The Boathouse’s Facebook page this month. We will be hosting a competition to Win a Night Away for 2 people with us, including a three course dinner and a bottle of wine. All you will need to do is like and share and tag in the lucky person you would like to bring along. The post Competition Time! appeared first on Inns of Distinction. Come along and enjoy our special events. Join us for The Spinnaker’s Spin & Win! From 6 pm to 11 pm, enjoy drinks discounts on the hour with up to 50% off selected brands, there is no better way to finish the week.. The post Every Sunday appeared first on Inns of Distinction. The post Every Friday appeared first on Inns of Distinction. Back by popular demand, we would like to reintroduce the amazing ABBA Tribute – Name of The Game. Arrivals at 7 pm and pre-orders required. The post ABBA Tribute Night appeared first on Inns of Distinction. The post Coming Soon… appeared first on Inns of Distinction. The post Coming Soon…. appeared first on Inns of Distinction. The Spinnaker the Festive Season! Eat, drink and get merry here at The Spinnaker this festive season! A bumper packed Christmas offering including Festive Thursday Tribute Nights, Friday Part Band Nights & Saturday DJ Nights Nights, Festive After Teas and much more, all under one roof! Catering up to 200 people we are the ideal venue to host any occasion. The post The Spinnaker the Festive Season! appeared first on Inns of Distinction. Get into the New Year with our January Jazz Night. SATURDAY 19th JANUARY 2019 at Only £16.95 per person. Its a night not to be missed. The post January Jazz Night appeared first on Inns of Distinction. Arrive at The Spinnaker every Thursday in February and enjoy a Sizzling Steak Night. Enjoy a Sharing starter, Two 8oz locally sourced steaks & a bottle of wine for £38.95. Reservations are a must and running Valentines Thursday 14th February! The post Steak Nights appeared first on Inns of Distinction. Do you think you have what it takes to be a detective and solve the mystery? Pop on your deerstalker, light your pipe and sharpen your detective’s pencil. Welcome to first every Murder Mystery Night here at the Spinnaker. Do you have what it takes to unravel the clues, catch the culprits out and stop the killer? Step into the crime scene and find out. Menu to be confirmed and pre-orders provided in advance – Please inform the Hotel if you would like the vegetarian option when calling to book. Once the mystery has been solved, you can retire (hopefully nightmare-free) in luxury – where a beautiful en-suite room awaits if you choose the overnight option. Breakfast the next morning is also included, perfect for restoring your strength after a dramatic evening. The post Murder Mystery Night at The Spinnaker appeared first on Inns of Distinction. Treat your mum to something special. The post Mothers Day Lunch appeared first on Inns of Distinction.